adapted from the les halles cookbook, this soup has cremini and white mushrooms, cippolini and red onions and a generous glug of madeira. 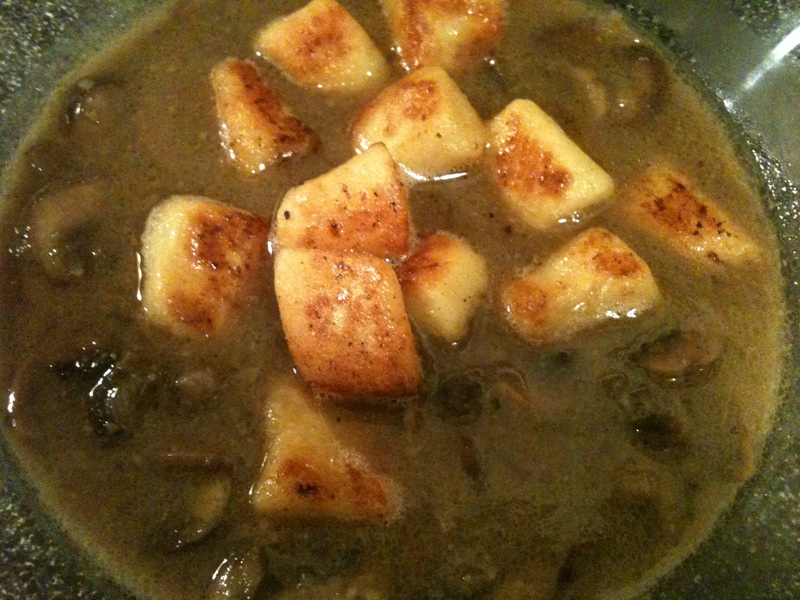 in the end i couldn’t resist and added some butter browned gnocchi at the last minute. 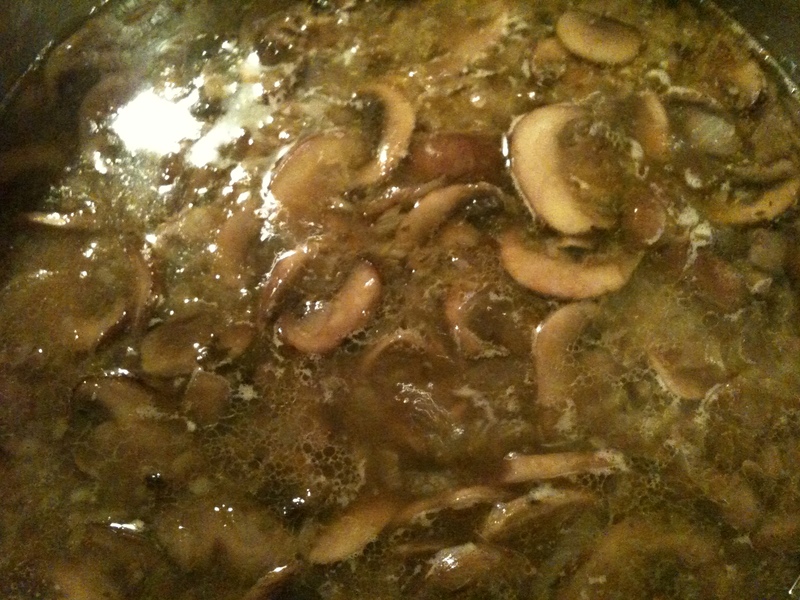 you can add shiitake mushrooms and substitute shallots or vidalia onions. i tend to use madeira or white port instead of sherry. if you don’t puree the soup, you can use it as the base for sauce for rice, pasta or filling for ravioli, etc. thanks to Deb for sharing this workhorse of a recipe with me.